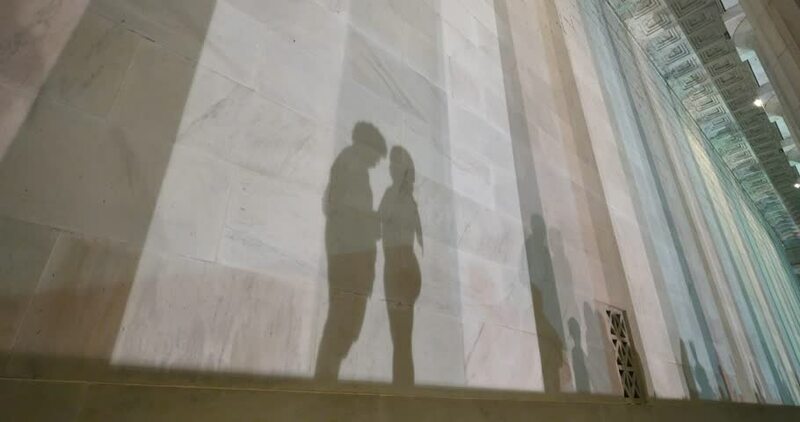 Two lovers kiss at the base of the Lincoln Memorial at night while their shadows fall on the marble walls. 4k00:214k, Bridal shop owner assisting young bride getting dressed in a wedding gown. Slow motion. hd00:161960s: UNITED STATES: cows in snow in winter. Man rides horse. Man herds cows into corn field. Cows eat corn in field. hd00:47Bahrain National Museum, Bahrain - 2013 - Shot of a carved stone figure from the Tylos (Hellenistic civilization) period.